Skin – Healthy You ! Skin – it reflects what you eat ! Our Face – read skin, is the first visual we have to others. Scientifically, it performs various functions such as sensory, our first defensive layer against germs and the environment, and converting sunlight to vitamin D.
A question, which is very common asked to a dermatologist – when does it become crucial to start taking care of your skin? Answer to this is – It’s probably earlier than you think. The changes are sometimes so swift that by the time we see changes you don’t like in your skin, a lot of damage has already been done. Therefore, it is very crucial to keep a close look at what skin is trying to reflect and if it may be signalling you of any problem inside your body. 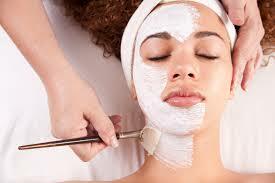 One of the most important ingredient for a healthy glowing skin is hygiene and antioxidants. Hygiene, comes to washing, removal of dead skin regularly and hydrating. Antioxidants, keeping our skin protected from toxins, brings a healthy glow. Normal Skin Type: not too dry and not too oily. Combination Skin Type: can be dry or normal in some areas and oily in others, such as the T-zone (nose, forehead, and chin). drinking plenty of water, staying hydrated. Good nutrition, getting enough sleep, reducing stress, Less or no consumption of alcohol, tobacco. It’s all about keeping the skin healthy from the inside & outside. Food sources of monounsaturated fats include olive oil, canola oil, almond oil, hazelnut oil, avocados, olives, almonds, and hazelnuts. Sources: Top food sources of vitamin A include carrots, pumpkin, sweet potatoes,, mangoes, spinach, cantaloupe, greens, kale, and tomato-vegetable juice. Vitamin C include orange juice, grapefruit juice, papayas, strawberries, kiwis, red and green peppers, cantaloupes, tomato-vegetable juice, broccoli, mangoes, oranges, sprouts, cauliflower. Vitamin E – More research is under way on the possible benefits of vitamin E as an ingredient in products that you rub on the skin, but for now it seems to benefit the skin most as a skin conditioner. Eat Whole Foods – diet containing more “whole foods” — vegetables, fruits, legumes, eggs, yogurt, nuts, oils rich in monounsaturated fats, multigrain bread, tea, and water — had less wrinkling and premature skin aging than those whose diets were rich in whole milk, red meat (particularly processed meats), butter, potatoes, and sugar. Skin is what you eat, so if you eat healthy, you would look healthy and a shining face with glowing skin is far more beautiful than a makeup !